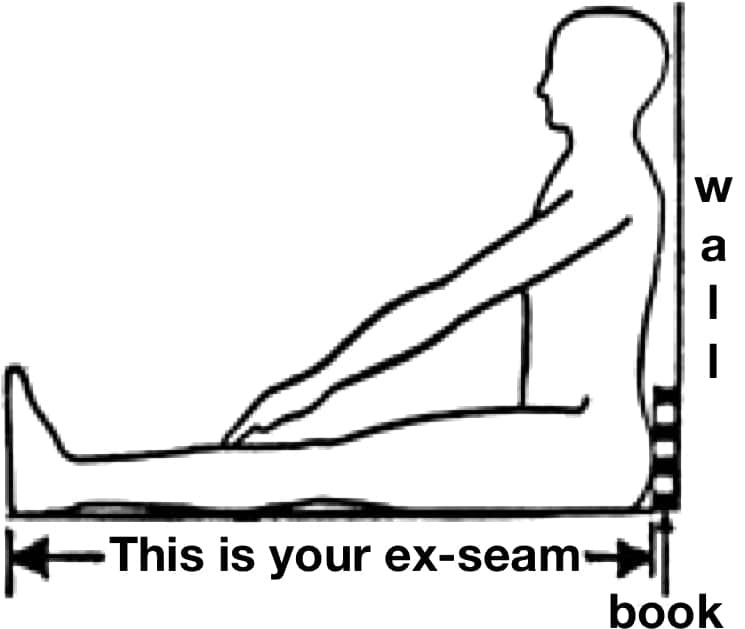 Ex-seam (see diagram below). Measure with your riding shoes on. Inseam, measured standing up and barefoot, from crotch to floor. Use the Height to determine the Seat Size. Normally this will be the same as the frame size. Use the Ex-seam dimension to determine the Frame Size. These models are available in three or four frame, seat, and stem sizes. The seat and stem interchange with different size frames for a custom fit. Note: Only the P-38 is available in a small size. Use the Height to determine the Seat Size. Use the Inseam dimension to determine the Stem Size. An extended bottom bracket is available for slim riders with a short torso and long legs. This results in a lighter bike, since the next smaller frame size can be used. This option is not recommended for strong or heavy riders, as frame flex increases with the smaller sizes. Follow the directions above to determine the correct seat, frame, and stem size when the extended bottom bracket is used. 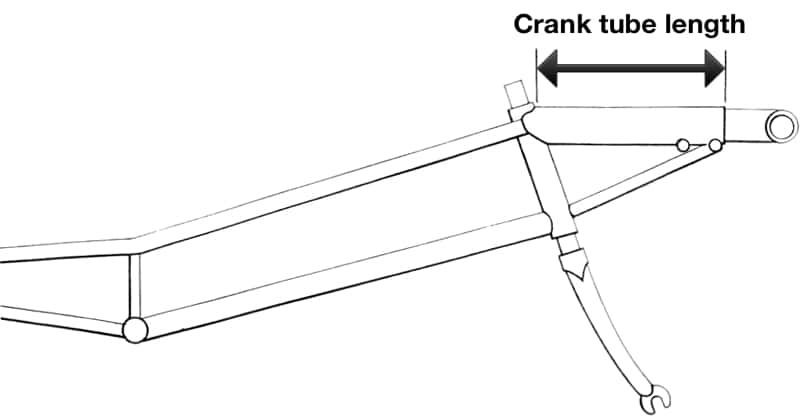 Note for bikes equipped with optional Tilt Steering: Because this option adds 2 inches to the total stem height, a smaller size stem should be used so that the handlebars do not end up too high. If you order a bike from the factory with the tilt steering option, we will automatically install the appropriate shorter stem. But for later upgrades or repair work, be sure to obtain the appropriate size stem. For example, a Large P-38 with tilt steering should have a medium stem. The following forks are available for the P-38. When replacement forks are ordered, please indicate the size, type, and brake mount. If you have any questions about all of this, give us a call!